It is “natural” because it uses Carbon Dioxide, a gas that is naturally found in air and that is a byproduct of our natural respiratory system. In beverages, it is the gas that is well known for making sodas “fizz”. In the decaffeination process, carbon dioxide is used in its “supercritical” state by subjecting it to high pressure, which means it exhibits properties of a gas and of a liquid. 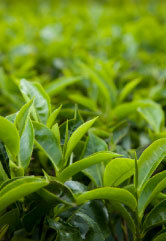 In this supercritical state, it becomes an excellent solvent and is able to penetrate the tea leaves. 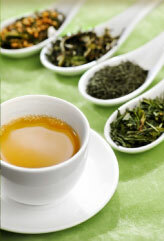 How can Carbon Dioxide be used to Decaffeinate Tea? The supercritical carbon dioxide acts as a solvent, physically effusing through the tea leaves and therefore making contact with the chemical compounds within the leaves. Caffeine itself then dissolves into the carbon dioxide. When the carbon dioxide is removed by evaporation as a gas, the caffeine is removed along with it. And because carbon dioxide is removed in its gaseous state, there is no residue that remains. Supercritical Carbon Dioxide removes more of the caffeine and less of the antioxidant EGCG. 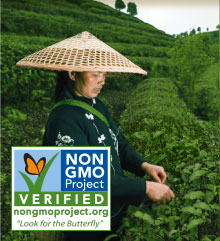 The effects of the antioxidant known as Epigallocatechin gallate (EGCG) is one reason why green tea has a good name. So wouldn’t it be removed along with caffeine in the decaffeination process? It depends on the solvent that is used and the conditions (temperature, pressure) under which the solvent acts upon the caffeine and the antioxidant. If a greater amount of caffeine is extracted and if a lesser amount of EGCG is extracted, it can be said that the solvent and the process is “selective” toward caffeine removal. Supercritical carbon dioxide is known to be selective toward caffeine removal compared to antioxidant removal.